One thing I can bring to the table when it comes to desserts is a crisp. 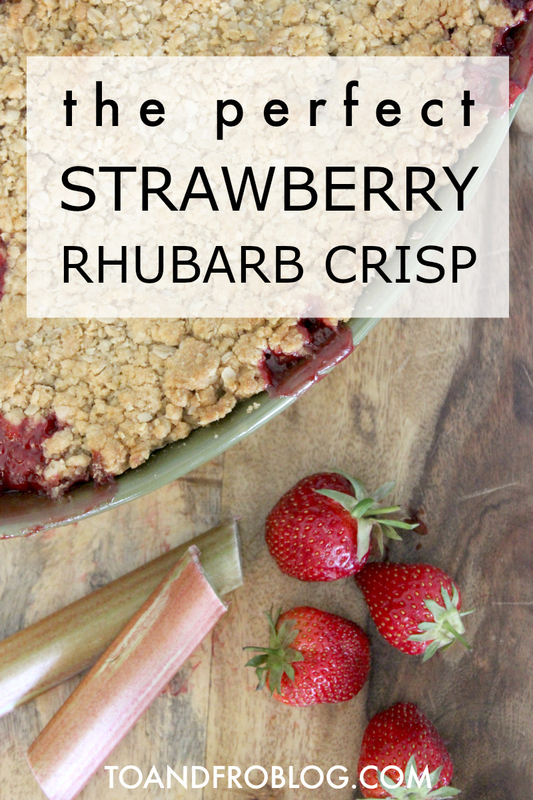 Whether it is an apple crisp in the fall or this strawberry rhubarb crisp recipe in the summer, my crisp game is on point. 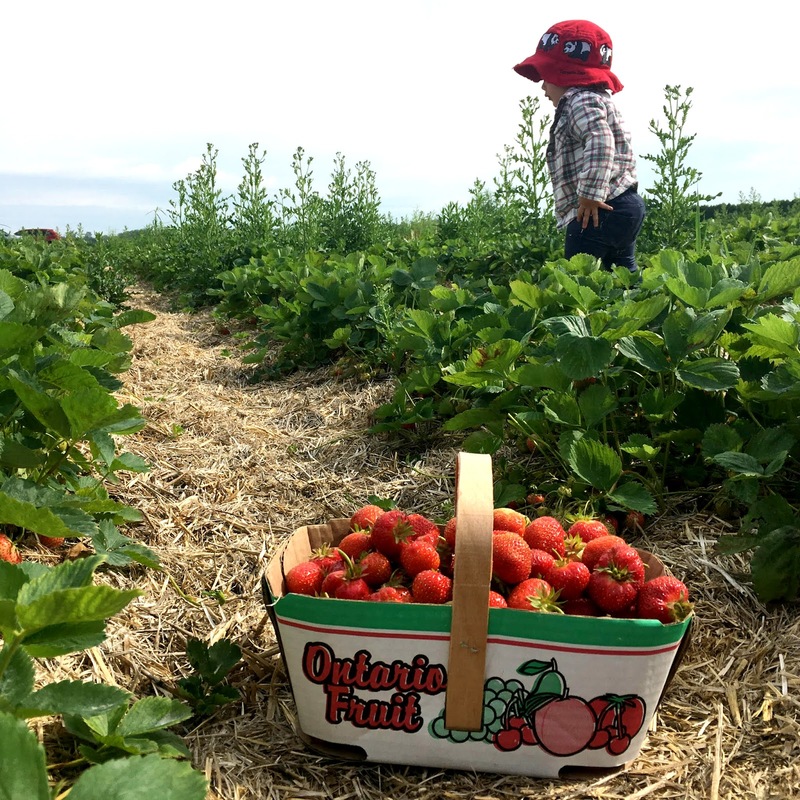 In Ontario, strawberries are currently at their peak. 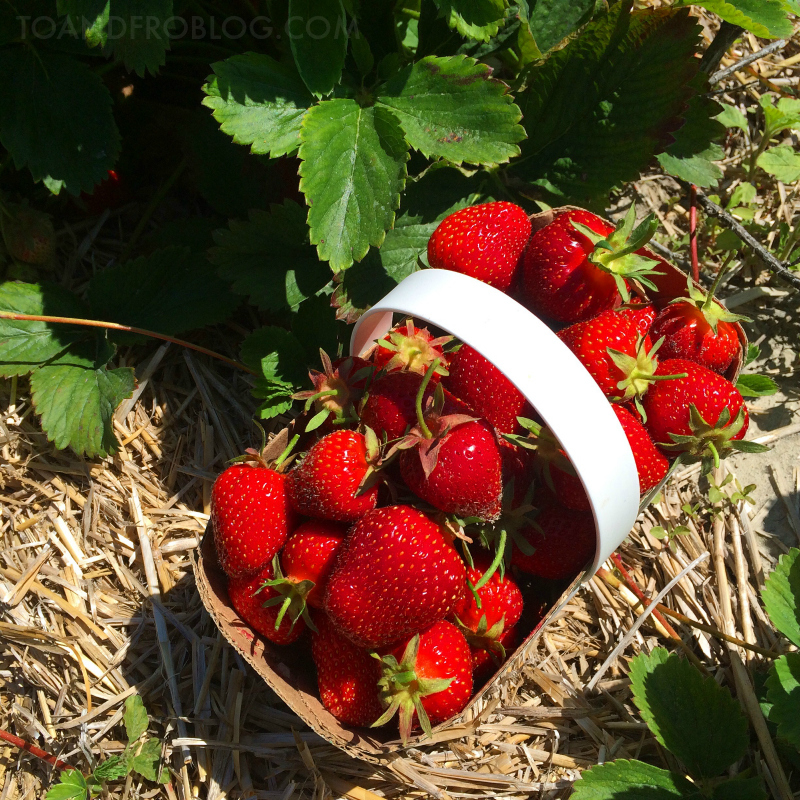 If you are lucky enough to have one nearby, now is a great time to visit your local u-pick farm to take advantage of these delicious berries. Fruit picking is also a great family activity - you get some exercise from all the bending you’ll do, can teach your kids about where their food comes from and the importance of eating their fruits and veggies and you get to spend some quality time together. 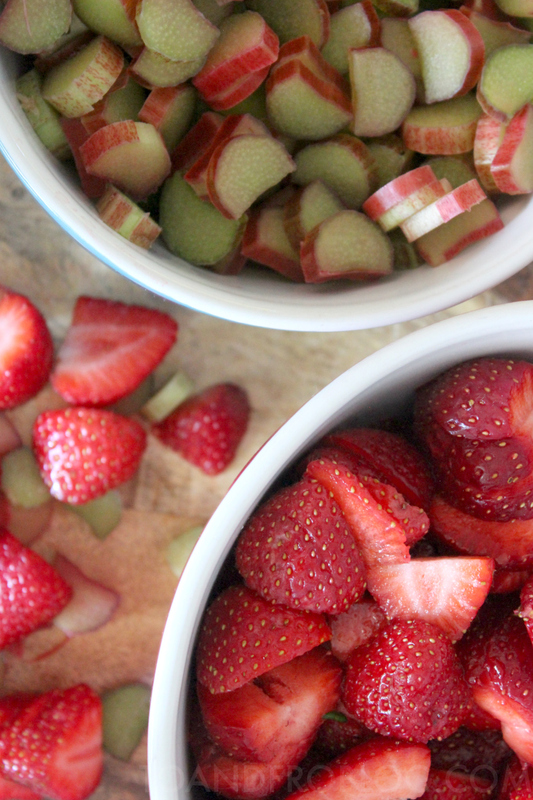 In large bowl, combine white sugar, 3 tbsp all purpose flour, strawberries and rhubarb and mix well. Place the mixture in a 9x13 inch baking dish. Whether you enjoy eating them plain, or with other ingredients, such as rhubarb, strawberries are an excellence source of Vitamin C, potassium and fibre, and are low in calories, at approximately 28 per 1/2 cup. Rhubarb is an underestimated fruit and if you haven’t had it before, you don’t know what you’re missing. It is very similar to celery, but treated like fruit and paired with berries, takes any dessert recipe up a knotch. Available from January to June, it is grown both in the greenhouse and outdoors. It is an excellent source of calcium, Vitamin C, Vitamin K and potassium, and while you might not want to eat it raw due to its tartness, it is also low in calories, at around 27 calories per 1 cup diced. 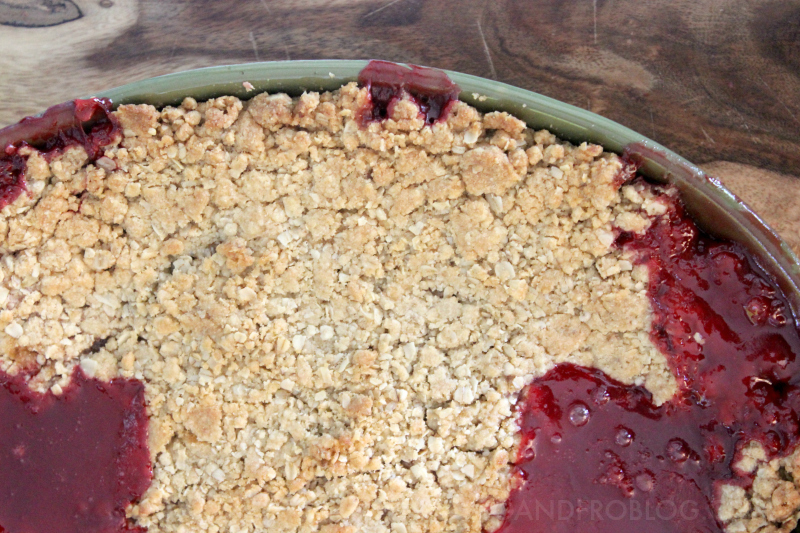 Strawberries and rhubarb go hand in hand, like two peas in a pod. Delish! Have you ever made a crisp before? What is your favourite berry recipe?